The first lady of UK MMA, Molly McCann, returns to the Fight Disciples studio to relive the moment she made history becoming the first English woman ever to win inside the Octagon. 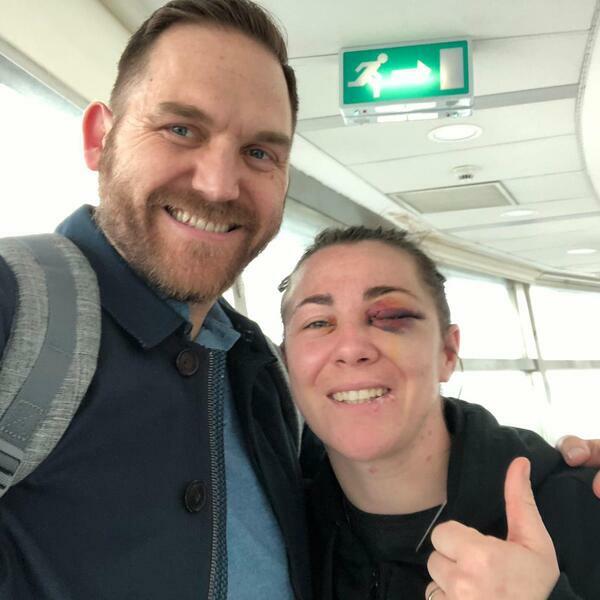 'Meatball' stole the show at UFC London with her dramatic victory over Priscila Cachoeira, where she fought the third round with one eye due to a broken orbital bone. Molly reveals all about the depths of her depression over the last nine months, against the euphoria of her success on Saturday night. Open, candid and honest, this is an interview not to be missed.